This week as we settled into routines at home and found our rhythms, the world seemed angrier and louder and more unsafe. Another celebrity death, an anniversary of terrorist attacks, talk of new terrorist groups, more troops, strategies, videos of abuse and allegations of cover ups. It was the kind of week that makes me look around and feel heaps of gratitude for my family. Sure I forgot Wade's snack on only the second day of PreK and yeah he blew a fuse in our house when he stuck a dime in the socket; Tim worked late a few nights this week which threw our newfound routine all out of whack; one of my kids told me I "disgusted" them because I signed them up for an after school activity without their permission; and a million other stupid things. It was far from shiny and perfect. But, I am still so grateful. I am grateful that we have each other during these weeks that feel so intense and angry in the world, I know that for sure right now. 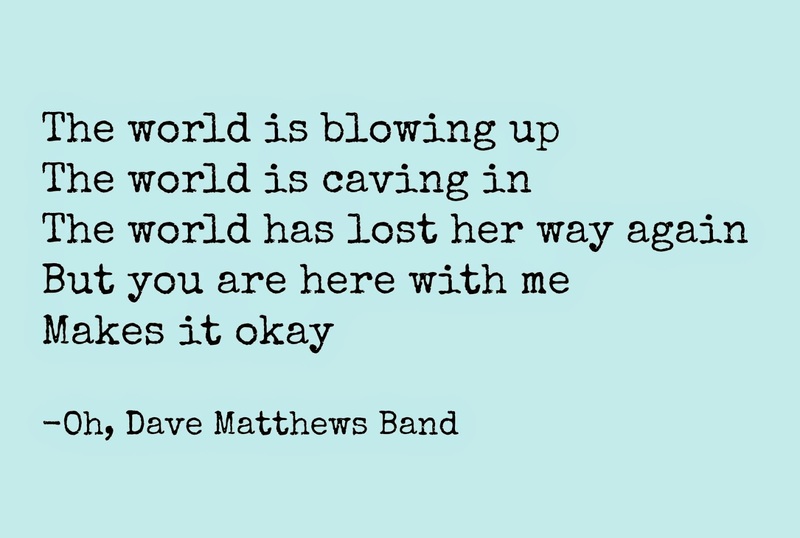 Click here to listen to the beautiful Dave Matthews Band song "Oh." Having people in your life that totally get you makes everything alright. I had lunch with a friend this week that I hadn't seen since last spring and it was like church to me. Spending time talking and connecting, listening and being heard...nothing beats that. Telling stories heals, transforms, and changes some people's lives. I am so proud to be a part of a storytelling show in Detroit next week. It's more than a show, it's a movement really. Check out what they are doing in Detroit this year. Physical Therapy is my yoga right now. I love being told that I have to sit still for 15 minutes while electrodes are hooked to my hip. I dig it. Wade isn't quite as excited as I am however. Thank goodness for Netflix and headphones, he gets to chill out watching a little Curious George. I love Meryl Streep. And I love the Blank on Blank Digital Shorts. Check out Meryl's interview and tell me you don't love her. I mean, come on. Bedtime = story time = best time. I love these boys. What do YOU know for sure this week, right now? Share all your knowledge here or on my Facebook page. 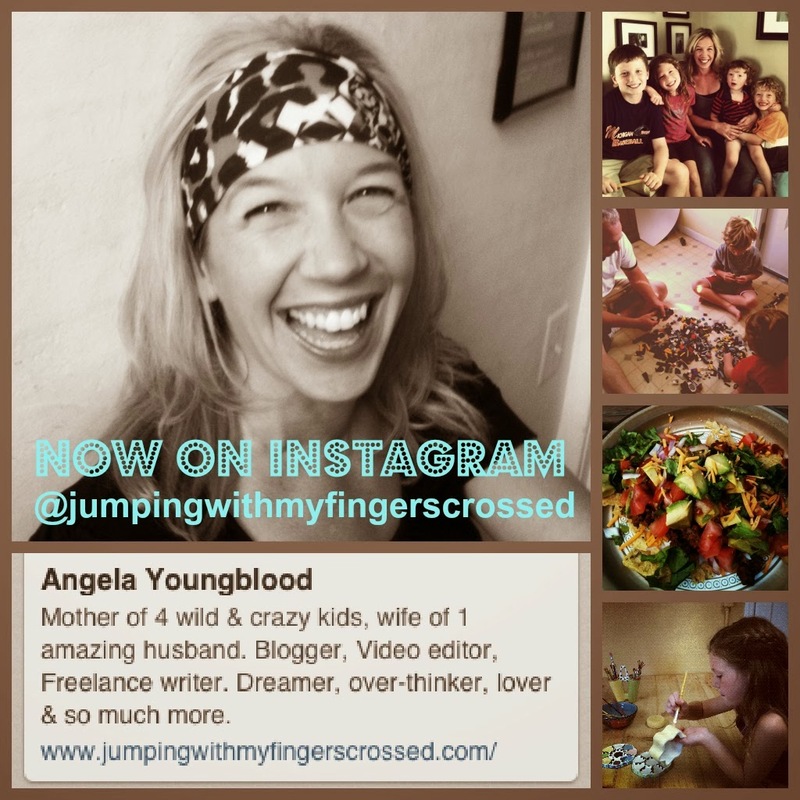 Come over and play with me on Instagram. I am so excited for you and the storytelling show! I have JUST started to get interested in storytelling and recently attended a workshop put on by Kevin Allison (Risk podcast and formerly of MTV's The State). Now I'm scouring all kinds of opportunities and finding a new way to tell stories that I couldn't get to work out in writing. I know this exact grateful feeling. 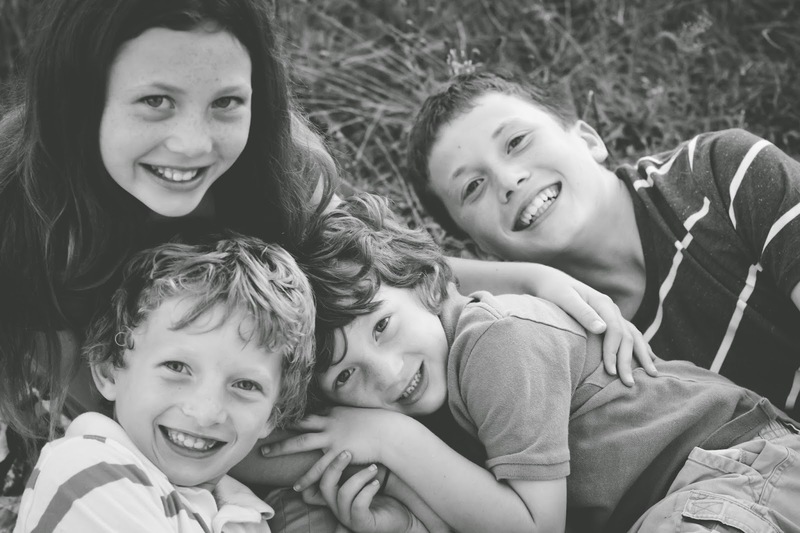 I felt it so hard this morning when my kids made me laugh after a miserable week. Oh, it's hard to appreciate what we have when everything's going downhill. But you do it with grace and so much energy - it's inspiring. As was that video of Meryl - I just love her!